To be fair, the course was always described as an “introduction” and it was fairly quickly joined by a second level course which was intended to be much less prescriptive. The problems were a) that many people wrongly believed that they were a trained teacher after just four weeks and b) that some of the Diploma courses, from what I have heard, turned out to be just as narrow and prescriptive as the introduction courses. I was a Diploma tutor for a number of years and I know that was never the intention of RSA or UCLES. They expected a broad approach. I was also on good terms with John Haycraft, as I think you also were, and he was an always restless man, constantly interested in new teaching ideas. The problem has always been with the attempt to impose a system upon the instruction. What starts out a formalising becomes fossilising. Thanks, Pearson, for the comment. I agree that the Certificate should properly be evaluated as just the first step on a developmental trajectory that includes (but does not necessarily culminate) in the Diploma – and I also share your concern that the Diploma (as offered in some centres, at least) is (or was?) simply a more extended reiteration of the Certificate. Thanks, Dana – and it’s good to hear from the growing band of CELTA graduates who are not native English-speakers. The more there are, the more the market might be encouraged to become less blinkered in terms of their acceptability as teachers. I do think this is happening in a lot of places. I think this is perhaps a key issue for native – and, by association, non-native – teachers in our profession: Is a four-week in-at-the-deep-end course enough, or is it merely a case of being better than nothing? When I was mulling over whether or not to get into ELT, I did a fair amount reading and research into how to prepare for the job. I’ll never forget one idiot’s claim in a ‘how to travel on a budget’ type book. 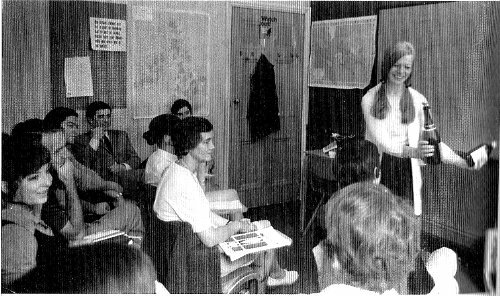 Her words went something like this: ‘I just walked into a language school and stepped out in front of the students and started teaching. It’s the only way to do it, really.’ I’ve never forgotten this, and have urged others thinking of entering ELT to under absolutely no condition follow this nincompoop’s advice. I think I’m far from alone in saying that when I started teaching, I found my colleagues were a mix of under-trained enthusiasts like myself and well-trained non-natives who had spent years learning the craft. I didn’t feel remotely ready for the 25 hours of classes per week that I was assigned. I did, however, feel that I’d been given a pretty decent introduction to what it was all about. A survival guide, if you will. Some sound advice I received from one of the tutors was, ‘cling to the coursebook for the first year, be honest with your students about how long you’ve been teaching and look for experienced teachers who will help you develop after the first year.’ With this in mind, I don’t see too much wrong with the likes of the CELTA, other than it isn’t followed by another formal qualification that will help you through the wilderness that will probably consume most people during their first 18 months or so. I’m at the point now that I look back on the first 3 or four years of my teaching and feel like they were spoilt by my clinging to the coursebook too much. But where was the guidance to do otherwise? Personally, I’m a little scared at the prospect of going too far towards an unplugged philosophy in pre-service training; too many people are like me and find it difficult enough even with a linear coursebook to act as a crutch. What I would definitely like to see, though, is something in between the CELTA and DELTA that invites relative newcomers to reflect on their first year(s) in the job. I think the CELTA is being marketed as fulfilling this role, when that isn’t really the case. Thanks, Adam, for the comment, which makes me think that there really should be a component to the CELTA (and I think there probably is in many centres) that provides a road-map for the newly-fledged teacher’s continued (and hopefully continuous) development. Perhaps the CELTA should be a ‘provisional certificate’ (not unlike the L-plates that rookie drivers have to display in some countries) that is validated only when the teacher can prove X hours of classroom teaching coupled with X hours’ attendance at professional development forums? I think Cambridge should have teacher training website specifically for people who have taken the CELTA, to help them in their continuing professional development and to prepare them for (and push them towards) a Diploma and/ or MA two or three years later. It would also be a good way of Cambridge getting feedback on their course. I hadn’t realised we were almost ‘compañeros’ on the IH 4 week course! 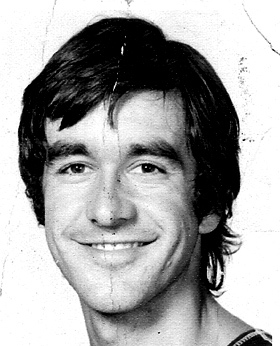 I did mine in autumn 1974 after leaving university – also with the amazingly patient and supportive David Thompson. Your memories of the Shaftesbury Avenue building, introductory welcome meeting with John Haycraft, the gosling effect of the FL lesson and how the course implanted a way of doing things in the classroom for years hit an immediate chord and made me inwardly chuckle. In fact even today I sometimes feel behaviouristically programmed to do things in certain ways – beating the stress is an example that comes to mind, and it also took years to change my attitude towards the judicious use of L1 in class. Having said that, the course was a brilliant start to a teaching career and I’d never have survived in some of the situations I’ve taught without it. Huge congratulations to IH on celebrating 50 years of the course – and as you say, at the time probably the best bit of self-investment ever! Wow, Carol, I had no idea we are of the same pedigree!! Not surprisingly, perhaps, we share the same enthusiasm for – and reservations about – the good old 4-week course. I’m Russian and I did my CELTA in Turkey last year after majoring in English Linguistics at university. I started teaching shortly after the course, and I was very enthusiastic about applying all I was taught in actual classroom, just as we did during TPs. The result was that lots of activities and methods taught on CELTA failed in my teaching context, there were (and are) many reasons to this, like the fact that students had never experienced a given activity (or the way it was conducted) before, they had never thought learning could be engaging and connected with real life situations they might be in one day, practical in other words. As much as I enjoyed my initial course, I understand that you always have to tailor what you’ve been taught to your current teaching context, as many students around the world are still not familiar with CELTA-type teaching. Surprisingly, many language school managers in my city are not either, as it turned out when I was looking for a job. Some managers don’t even want their teachers to do DELTA and of course don’t promote it, because that’ll increase their employability overseas and they won’t come back. I also have reasons to think I might be the only CELTA-certified teacher in my 1 million city, since what you generally need here to teach is a degree in Linguistics or one from a local pedagogical university, or you get picked by a Head of Department and stay teaching at your university. In practical terms, my certificate doesn’t add extra anything to my salary, still I’m glad I did the course as it helped me in many ways and showed me a different type of teaching, made me more reflective, and put in contact with great educators. I couldn´t agree more, Anastasia, your description of post-CELTA experience in Russia kind of sums up my experience with Slovak students. To add, while I believe student training can help bring students on-board of CELTA-style teaching, I still have my doubts about whether CELTA-method is actually effective with some learning-styles, judging from my almost 1-year long post-CELTA teaching experience, both in London and in Bratislava. I, too, agree with you that courses like CELTA are surely not the only ways of teaching. I think you both need to filter all information on the course and then make it applicable to your context. Thanks, Anastasia – as I said to Dana, it’s great to hear the views of NNES CELTA graduates. When you say “you always have to tailor what you’ve been taught to your current teaching context” I think you have hit the nail on the head. How much help is given – or, indeed, can be given – to trainees in order to support this ‘tailoring’ process, I wonder? I did the course before I started teaching full-time and I had no idea what students I’d get, adults or teens, their level, learning objectives, etc. So I realize that I was trying out pretty much every activity from CELTA on my students, until I found which ones worked best and fitted lesson aims. That’s how my process of “tailoring” looked like, at times I think I was learning more than my students were during my first, expiremental post-course lessons. Of course, we were given some suggestions on how to adapt your teaching after the course to your classroom situation, how to evaluate coursebooks and be a reflective teacher, but unless you taught before embarking on a course, they are not so helpful as they could be. In contrast, if you were a parctising teacher before CELTA, after completing it you’d be more prepared for future classroom adaptations and tailoring. So I don’t believe much help in tailoring can be actually given to trainees during such a short period of time and due to other reasons. Many teachers find themselves learning this skill on their own afterwards, and that’s not necessarily a bad thing. Many thanks for a very entertaining and informative read, as always. I too got into teacher training a few years after I did the DTEFLA under your leadership. I was also working in Eastern Europe with various Ministries of Defence on the British Council’s Peacekeeping English Project. We also found that we had to use an “eclectic” mix of teacher training methodology rather than straight CELTA style and we also met some excellent teachers who are non native speakers. There are many cases where a truly dedicated can actually be more innovative in terms of teaching techniques than a native speaker because they don’t have the crutch of being a native speaker to fall back on. Bottom line, the CELTA model of teacher training does seem to work, but it is not the only effective teacher training model. Hi, Liam – nice to hear from you after all this time! I think your point about using a more ‘eclectic’ mix of training methodologies is a good one, especially if the traning program is ‘baggy’ enough to allow for this. The problem is that, because of cost factors, apart from anything else, there is very little ‘slack’ in most CELTA courses. And their typically intensive nature doesn’t allow for much reflection time, which might be necessary if a less prescriptive training model was being employed. I suppose I can see both sides of the argument – when I was only teaching and teacher training (including being a CELTA tutor), I thought it was horrible discrimination to only hire CELTA grads when there were local NNS with Masters applying. Then, when I became a DoS and started doing the hiring, I quickly realized that a Masters in TEFL, at least here in Costa Rica, didn’t mean that the person had even the very basics of common good practice. I realize that different contexts require different approaches, and I’m in no way advocating a ‘CELTA method’, but at least for my school I want to know that a teacher can manage and enable a student-centred, interactive, and meaningful class. Ideally, I could just observe someone teaching before hiring them and then I wouldn’t need to worry at all about what qualifications they did or didn’t have. Until then I’ll have to muddle through, trusting that someone with CELTA, a couple of years experience, and good interview skills will be able to do the job, and if they have other qualifications as well, so much the better. Of course, I would never discriminate between NS and NNS and actually prefer a strong NNS with knowledge of the local culture. Thanks, Ben, for the comment. I agree, that all things being equal, and in the absence of an in-house mentoring program, perhaps, a CELTA is probably better preparation for immediate classroom teaching than most MAs. But, then, MAs in TEFL/TESOL can vary so much – some having a practicum, but many not. As you say, in the end, an observed lesson or two is probably the best measure of a candidate’s eligibility. My experiences very much mirror yours, Ben. I have found accreditation, regardless of level, reflects very little on a teacher’s actual ability and classroom practice. I’ve seen teachers with master’s, both NEST and NNEST, that needed extensive development and coaching to become effective. These days, my motto is always “hire for attitude, train for skill”. A course is what you make of it and how you apply it. Some people take away more than others and those are the people you want because they will continue to improve. A lovely read, Scott, many thanks for rolling back the years, not to mention mentioning one of my bosses, David Thompson, a man to whom I owe so much in my career (I’ve been here in Buenos Aires under his wing for ten years now). Perhaps you’d like to reminisce some more at our online conference celebrating these fifty years at the end of May? Thanks, Neil – send me details re the conference – and pass on my regards to David! Neil, you reflect my feelings exactly. Thank you Scott, it was a great read. I had heard the stories of IH’s first days in Argentina from Celia Walker, who joined David Thompson shortly after he arrived in Buenos Aires. I was lucky enough to work at IH San Isidro for six years and we shared many of our activities with David and Bruce at Recoleta and Belgrano. I even did my Delta there (when Jamie was DoS). Great times with great people ! My regards to David. .
–	It’s not quite clear to me what your criticism is aiming at, but if it’s the direct method let me clearly state here that the direct method (or Berlitz method) is a non starter. With the right kind of techniques, the mother tongue (or another language that has become dominant over the years) and the foreign language can enter into a powerful alliance. The perspectival flexibility of a naturally acquired language to elucidate the form-meaning constructions of another taught in normal school settings is without equal. That’s what the research says. The question which remains to be answered is why a self-crippling mistake should have held sway for such a long time. Why was real empirical evidence in favour of bilingual techniques simply ignored? Was it because it was so comfortable and attractive to send native speakers abroad to teach their own language without some working knowledge of their pupils’ languages? There are a couple of bold calls in there! The boldest perhaps being “That’s what the research says”. Could you provide some links/references please? I would love to read them! Thanks, Wolfgang. For those who missed an earlier discussion, to which Wolfgang kindly contributed, see T is for Translation. See also N is for Native-speakerism. I loved the glimpse you gave us into your early career! Great photo, too. Clearly Facebook material, uh? Most of the CELTAs I’ve taught over the last few years included a mix of more and less experienced / proficient teachers, so, in that sense, here in Brazil – at least in São Paulo – the CELTA is an essentially hybrid course: pre-service in terms of syllabus and assessment criteria and in-service in terms of the discussions and insights that often emerge during post-observation feedback sessions. This means that most of the points I’m going to make apply to both “zero-beginner” and “elementary / pre-intermediate” teachers, so to speak. 1. The old maxim that a lot of what teachers do in class is shaped by their own experience as language learners seems to hold true(ish) during pre-service training. Bits of anecdotal evidence: Teachers in their mid 40s usually find it easier to devise and conduct books-closed open-pairs practice / drills; younger teachers who learned English in the early communicative era are more comfortable setting up pair work and info gap tasks, but, on the other hand, struggle with corrective feedback; native speakers have a hard time with pre-packaged grammar and tend to value message conveyance over accuracy. 2. Teachers seem to progress at astoundingly different rates during pre-service training and that doesn’t necessarily depend on how “green” each teacher is at the onset of the course. Donald Freeman’s KASA (knowledge, attitude, skills and awareness) framework does a good job, I think, of explaining developmental discrepancies among teachers. 3. More and more, I question the value of input sessions (though I’m not ready to commit to a “non-input” model). In my experience, relatively little of what is “taught” during input sessions crosses over into the candidates’ lessons. True, sessions in which processes somehow match content (e.g. : a session on task-based learning being delivered through a task-based format) maybe stand a better chance, but, as a rule, I find that the new input tends to be stored in a relatively retrieval-impervious compartment, at least initially. So, in that sense, I guess we could draw a hundred parallels between this (arguably) weak-interface position and the sort of automaticity you were talking about a few weeks ago, Scott. 4. I think whatever observable progress teachers make comes from the experience of teaching, being observed, reconstructing the lesson, receiving feedback, making sense of it and then trying again – a model which reflects Kolb’s experiential learning cycle (Concrete experience, followed by reflective observation, followed by abstract conceptualization, followed by active experimentation) rather than an input-first model. So, do I recommend a course like the CELTA? Yes, absolutely – but mostly because of the feedback sessions. 5. Now, here’s the ironic part: even if we assume that all the essential training mcnuggets (no copyright infringement meant, Scott) will eventually seep into the teacher’s day-to-day practice, I can’t help but wonder to what extent they will be usable and relevant for any significant amount of time. How will the school’s overt policies and – perhaps more importantly – tacit expectations impact teachers’ practice? To what extent will the training mcnuggets be compatible with the school’s teachers’ lounge ethos? What role will exams (and all the washback effect they can cause) play in the whole process? 6. But most of all, what I find particularly frustrating about imported teacher education models (and all their spin offs) is the rarely-examined assumption that multi-lingual and monolingual contexts basically operate in the same way – I’m referring specifically to the use (or avoidance!) of the mother tongue here. It’s hard to believe that in 2012 teachers worldwide are still being told (again and again, overtly and tacitly) that the use of translation in class should be used “judiciously”, “sparingly” and “on a last resort basis.” Sad. I agree that most of the learning goes on during the feedback sessions, but it is very hard to give feedback if they don’t know what “elicitation” and “pairwork” are, hence the need for input sessions. Whether deliberately or because TEFL teachers can’t do it any other way, as Scott says they also see a lot of pairwork and elicitation being used in their training sessions (something which makes me very suspicious of the new blended Online CELTA). Personally, I found that many things I was told on the course sat at the back of my mind somewhere to suddenly be really learnt when I no longer had to worry about basic stuff like grammar explanations and stopping students cheating in tests. As far as L1 goes, it is a simple fact that most classrooms in the world, especially secondary schools, have too much L1 in them and would be better if there was less, end of story. Of course, there are also plenty of individual situations where the opposite is true, but as a general policy it still makes complete sense. Yes, absolutely. During feedback, I often find myself referring back to the input sessions, again and again. So, in this sense, the training mcnuggets appear to make more sense to the teachers AFTER the actual teaching (i.e., concrete experience) rather than before it, which begs the question: if we claim that classroom learning is organic, non linear etc and if dogme seems to be gaining so much prominence in ELT, why are most of our teacher training models still PPPish in nature? I think it’s important to be a little more specific here about what we mean by the use of L1. Conducting the lesson mostly in L1 (and depriving students of precious exposure to comprehensible input) is one thing, drawing on L1 to clarify meaning, contrast both languages and help students get their heads around tricky grammatical, functional and lexical areas, quite another. What I find, more and more, is that teachers tend to lump the former and the latter into one big conceptual chunk and end up throwing the baby out with the bathwater. And whenever I teach a CELTA course, I find myself – much against my will – perpetuating this L2-only dogma, which is critical in multi-lingual contexts, I know, but pointless and even potentially harmful in monolingual settings. Alex, I’m talking about language institutes here. I have no experience whatsoever with secondary schools and you’re right in saying that there’s normally way too much L1 going on in secondary education. In terms of other options, what would they be? More pre-service MAs in TESOL have observed teaching practice in them nowadays, but I get the impression it is often just tagged on and that the things they learn on the course are not really related to it, leaving some MA graduates I employed and worked with almost paralysed by the number of things they thought they had to take into account in every class they taught. The perfect course would be a more practical year-long course like a PGCE, but governments are hardly going to pay for a qualification that is almost guaranteed to make the graduates disappear from the country sooner or later. All that is pretty theoretical anyway, as almost every day I am online trying to persuade people that yes they do need a properly recognised course with observed teaching practice rather than a four week course with a guy who did the CELTA two years ago in a beach hut in Thailand, a weekend course with 30 minutes of peer teaching, or an online course that is graded through multiple choice questions that they can try as many times as they like. One option might be some kind of hands-on, school-based, apprenticeship, involving such options as mentoring, and team-teaching.Coupled with cycles of teaching (both observed an unobserved), reflection, and planning for further teaching, such a program would be no less practical, but might be a little less de-contextualised and intensive than the CELTA tends to be. That sound great, but it’s what schools should be doing anyway when they get people straight off the CELTA, as happens with a PGCE. Can’t see why it would work better because people hadn’t done the CELTA first, or why it would be more likely to happen if the CELTA didn’t exist. PS, it’s aimed at a different kind of teacher and not usually people with no experience or qualifications, but what you’re describing sounds a lot like the Cambridge ICELT. Alex, my experience is similar to yours in that much of what I was exposed to during my training lurked in the back of my mind waiting to be examined and explored later. It was helpful just to be aware of the concepts for future reading and experimentation. (My training was not CELTA, but perhaps kind of similiar — 4 intensive weeks of input in the morning, prep and teaching in the afternoon, daily written and oral feedback from trainers, plus several more weeks of written work after the training was finished). I often joke that I didn’t learn anything in my training except how much I didn’t know! But actually, I don’t think that’s fair. The training gave me a good feel for what I was getting myself into. The rest has been up to me! PS: it was reading about teaching unplugged that helped me to “outgrow” my training and start teaching as me rather than as who I’m “supposed to be”. I think I had to try the “supposed to be” first in order to know it wasn’t me. Does that make sense, or is it sounding flaky? Not flaky at all, Kathy. What is a little dispiriting, as an in-service trainer, is the way that, five years down the track, many teachers are still teaching as they are “supposed to teach”, which attests to the prescriptive power of their initial training. I guess there must be many reasons. Perhaps – like Luis pointed out – KASA might have something sensible to say here, I don’t know. My latest jolt of professional development happened this week when an adult learner in a group class told me how she preferred the Berlitz Method as it’s “much better” because they do lots of “speaking and grammar”. My (polite) response: I appreciate your preference, but I don’t personally agree with their method, it’s way too mechanical and narrow-minded. I would rather not teach at all, than use such a method. Sure, we can incorporate some of these kinds of activities in the lessons (I thought I was already doing so, actually! ), but I am not a Berlitz kind of teacher, sorry. I don’t even think they really are teachers, to be honest. This the first time, I’ve been properly open and straight with a learner like this and I’m quite proud of myself for having the courage to do it. After 4 years of developing my own voice as a teacher (constantly experimenting, studying, trying to innovate), I am seriously questioning what I can offer to such students or any language courses with a similar attitude. Thanks for the sanity-check, Scott! Despite having a BEd. when I did my initial EFL training at IH London in 1989, it focused on aspects which I’d never considered before as a primary teacher. Looking back, I don´t think I was pyschologically or emotionally ready for all the course could offer…the stress of the daily TP and feedback (which for someone who was excessively shy as I was then was pure “hell”) meant that I took in the aspects which perhaps were superficially easier to deal with. The rest required time, maturity and loads of teaching to finally make any sense at all. But looking back, the course certainly made a huge impact in my teaching career. I think it gave me a sound basis from which I was able to later on to find my own teaching voice. Today as a trainer myself I do recommend the CELTA. Yet my 1st option for teacher training is always the local graduate degree in language teaching as this will hopefully set them on a path of academic and professional reflection. Yet, the CELTA covers aspects of EFL classroom practice which our undergraduates may not come across at university. I think the CELTA format comes into its own through the TP feedback sessions. Maybe our CELTA groups in Rio provide a slightly different learning experience? We always have a mix of more and less experienced teachers, mostly NNESTs & a few NESTs, and this often means we have teachers supporting and scaffolding the learning teaching experience for each other at several levels: younger teachers who are more tech savy, experienced teachers guiding novices; NNESTs helping NESTs dealing with the monolingual Brazilian groups & grammar; NESTs aiding in terms of linguistic compexity in the classroom…this for me is potentially the richest part of the CELTA experience (provided participants are open to this and willing to expose themselves to a greater degree). Maybe this mix changes the CELTA experience as it allows for greater reflection and questioning? But yes, I would welcome other options which could incorporate elements of good TP & feedback moments, but less restricted to a specific content, perhaps focusing better on the teaching needs of local communities. But ours is a culture which likes to “seal” stages with certifcates….the CELTA does that….would an equivalent learning/teaching experience have the same weight? Hmm, not sure it would…unfortunately. Thanks so much for those recollections and recommendations, Valeria. The kind of CELTA context in Rio that you describe – trainee diversity coupled with a degree of contextual commonality – sounds very much like what Luíz was describing earlier. As you say, maybe the heterogeneity of the groups, in combinaiton with a shared understanding of the local context, “allows for greater reflection and questioning”. All learning, after all is (in Lave and Wenger’s term) ‘situated’, and perhaps one of the weaknesses of the CELTA – if you do it, say, at a site that is not the one you will teach in – is the ‘disconnect’. Is this realistic? If so, can any of the teacher trainers here flesh out this idea? Thanks, David. One thing I do remember from that initial training course I took in London all those years ago, is that we trainees had the option of taking on a second TP group after the main day’s activities were over, which we taught unobserved. I can’t imagine how there was time for this but, as far as I can remmeber, most of us took the opportunity, and I remember this as being hugely instructive. That’s very interesting, Scott. I hadn’t though about extra unobserved lessons (that, if desired, the trainees could write a report on and reflect). It occurred to me that having the first few days of a CELTA mostly reflecting on the observed TP of any trainess who want to get up and have a go, as it were, might be a good springboard. I recall several of my fellow CELTA trainees had a goodish amount of teaching experience under their belts already and that could be exploited early on in the course – but just as good to observe and reflect on, may be the efforts of a spirited newcomer. I mean, as interesting and useful as it was to watch the CELTA teachers doing TP, I remember it being just (if not more) valuable to observe my peers and see what was good or not practice on display there. Getting the more experienced trainee teachers to teach the TP students first (rather than “real” students) is something sensibly done on any CELTA and gives those with zero experience a very good model. And I think TP students are as real as any other in most respects. Thanks, Declan, but I think I was making a different point. PS; Unless my memory has gone out the window, the CELTA course I did with your guys at IH was pretty different, right? During my training, I hungered for more opportunities to just watch a good teacher in action. I mean, we did get to watch good teachers in action since our trainers were teaching US and they modeled what they taught constantly. But it was tough to focus on meaning (the content of what they were instructing) and form (their modeling) at the same time. I longed to have access to videos so I could watch again and see how they did what they did so effectively. Actually, videos would have been helpful in critiquing ourselves too. Don’t know when I would have had time to watch them though, ha ha! I would like to have had an opportunity to observe an experienced teacher more often as part of my training. I mean, we obviously saw our trainers in action as they taught us and they consistently modeled what they taught, but it’s hard to focus on meaning (what they taught) and form (how they taught it) at the same time. Videos would have been really helpful. Videos of our own practice would have been (painfully) helpful too! In fact, I could mine the video for ongoing self-improvement ideas (in conjunction with the written critiques I received) well after I finished the program. Maybe the CELTA includes a video component already? It was very nice to meet you at TESOL, Scott!! I hope your travels home went smoothly. The “actual teach” stage was videoed, for the purposes of the stimulated recall. I don’t know how long a complete cycle takes, but this would seem to be a useful model for a school-based teacher development program. Thanks! Maybe Ms. Johnson will post the notes from that presentation. I’ll look her up in the program and drop her a line. I like the idea of practice teaching on peers, re-thinking, and then taking it to the learners. I’m curious about the purpose of tutoring the student first … maybe to identify an authentic need before planning the lesson (simulate the knowledge a teacher of an ongoing class might already have)? The purpose of tutoring individual students was to ease the novice teachers into their role, as well as to start to familiarise them with the nature of interlanguage. It also meant that there would be students in the class they would already know once they started teaching the class as a whole, and since they were working in groups of 3 or 4 trainees, they could share information about each student they were tutoring. Hi Ximo, thanks for your comment. I am aware of the new Masters for teachers, although I can’t say I’m familiar with it – but the fact that it includes a 10-week practicum can only be a huge improvement on what in the past involved simply theoretical knowledge (the old ‘CAP’ system). What’s your opinion of it? On the subject of school-based experience, Legutke and Schocker-v. Ditfurth have this to say: “The inclusion of school-based experience as a central part of learning-to-teach environments establishes bridges between institutions, provides ongoing support for the participation in communities of practice, and, last but not least, fosters a critical perspective on one’s own teaching practice in both school and university-based teaching scenarios” (in Burns & Richards (eds.) 2009, Second Language Teacher Education, CUP. p. 215). One possible criticism of the CELTA model is that the practicum often takes place in a kind of vacuum, the classes not being necessarily representative of those in an institutional context. I disagree somewhat with your view of CELTA practicum – I think the make-up of the TP group is usually quite representative (at least at our institution – where some students actually also attend ‘normal’ classes). However, I do agree that the TP lessons are lacking when it comes to continuity between lessons (though lessons are often linked topically) and lacking in the coherence-making job of stitching together a language course that allows subsequent lessons to address areas of need seen in previous lessons. In other words, lessons feel like one-off performances rather than steps in an process of building a course of language development for the students. The additional lack of homework-setting or exam-focus also adds to the slight sense of irreality. Still, if you treat the TP lessons as flight-simulators (as I think they are on CELTA) – then this kind of virtuality comes concomitantly. This is such an interesting topic for me because it really speaks to the power of initial experiences in forming lasting beliefs and presuppositions. I’m also curious to know more about what you (and others!) perceive as the limitations of the present-day CELTA or other 4-week training courses. For example, I can guess that one concern might be about what you have referred to as the tendency to teach grammar nuggets. Are there other problematic habits or beliefs being instilled that you see trainees having to ‘unlearn’ or get over later on? Hi Josh, and thanks for commenting. Thanks for this list, Scott. Good food for thought. I also wanted to say that I’d love to see a blog post devoted to this issue of L1 usage. I’d be interested in hearing more thoughts on how it can be judiciously used to good effect while still maintaining an environment that supports the use of English. 1. L1 use – not totally proscribed – for many of the reasons brought up in this earlier post of yours (T is for Translation) and in comments therein. 2. Yes, definitely. But given the fact that many books are awkwardly-fashioned with glaring gaps and lameness abounding, trainees often need to twist the material into pretzel-shapes in order to make them useful for lessons, and this “defective by design” nature of corporate-built products (similar to DRM-saddled media and certain software which seems immune to user-feedback) means that trainees must use all their nous and ideas from input/feedback to create a more bottom-up-friendly learning-centred lesson and this does really test their mettle and stretch their abilities. 3. Structural syllabuses are dying (controversial statement I realise) but they are. It’s happening very slowly – but it’s happening nonetheless. An example of this is seen in the recent English Unlimited set of coursebooks from CUP (full disclosure – I receive no commission !) where the grammar is beseiged on all sides by lexical phrases and by the C1 level book is utterly overrun. And this is of course very welcome. Trainees on a CELTA typically teach 2/3 grammar lessons out of 8/9 lessons – a not-out-of-balance proportion methinks. 3. Teacher talk of the IRF kind is limited to certain presentation stages (if the teacher chooses a teacher-fronted style) or in reporting performance after a very closed task – otherwise, teachers on a CELTA course are naturally encouraged to interact in a genuine manner with real questions when in open-class mode, and in any case, most talk in a lesson happens between students (or so goes the aspiration – not without its own controversy). 4. I agree somewhat here – texts are treated in a too shallow manner and are vastly-underexploited. Yet, in the 4 weeks of the CELTA, it is only often the basics of reading comprehension sequencing that trainees can assimilate; in addition, they usually lack the language awareness to do much more with texts than to have students read/listen to them. 5. “High-activity turnover” – nicely phrased. If by that is meant a string of short activities lasting 5 mins each loosely linked to each other, then that, we know, a satisfying lesson does not make. If for “fun”, we substitute engagement (affective cognitive interpersonal) then I would agree. 6. Here I think is where trainees can make up most for the deficits in materials by doing exactly that – linking topics and discussions to the local context. I don’t disagree. The value of the CELTA to me was to obtain some sort of framework to start with and the idea of self evaluation. TEFL isn’t organised in a way that makes extensive pre-service training realistic. Most people self-fund the course (which I am told doesn’t even make money for the training organisations) and then work for the sort of pitiful pay rates that we all know (but don’t speak) about. So the training has to be cheap and cheerful. As a lot of the previous contributors have noted, the learning process then goes on and on, there is no end and that is why we carry on as it’s a fascinating process. The value of what people like you and Luke are doing is that it gives us “foot soldiers” a measure of confidence to do things differently if we feel that we are more effective by so doing. It also helps us to make whatever we decide to do more effective by suggesting ways to ensure that there is an underlying foundation of teaching methodology in the less constrained approaches that are becoming more popular. There is another way – at Glamorgan University in blisteringly hot South Wales, we’ve been running a BA Minor degree in TESOL for four years. The course involves modules in language awareness, collaborative lesson planning, peer teaching, SLA theory, (post!) methodology as well as live teaching practice. The final year has plenty of reflective discussion and a number of reflective assignments designed to get students considering issues across the theory / practice divide. The importance of making language learning as student centred as possible is, of course, a central tenet of the course. More and more international students are studying at HE institutions in the UK (creating a need for language training at both pre-sessional and in-sessional levels) which has resulted in circumstances that are pretty helpful to those interested in looking at language teacher education. We know that our model of teacher training is still far from perfect, and it does throw up new challenges each year, but it has provided the lecturers (all initially CELTA trained) with an opportunity to experiment with the processes and content of initial ELT education. Given the rise in tuition fees at UK universities along with the growing need to demonstrate the “employability” value of their courses, I wouldn’t be at all surprised if more universities started offering their own models of initial ELT education. Sounds great, apart from I doubt the value of studying the topic for years without having worked in the job, however much observed teaching practice the course includes. But I would also agree with Alex that 4 years does seem to overextend the process – I strongly feel that one of the positive aspects of a short course is that it leads to more joined-up thinking since input sessions are so closely scheduled; as a result, trainees can start to join-the-dots on various teaching principles and techniques simply because they are fresh in their minds. Who invests in a 4 year course to qualify for work that, when you consider the pre- and post-contact work, pays rather less than the national minimum wage? Am I missing the point here? I haven’t yet met a TEFL teacher who is properly rewarded for their talent, enthusiasm and expertise. The £1000+ you lay out for the CELTA course takes over 100 hours of teaching to recoup and that’s the reality. I’m lucky enough to be retired from mainstream business and teach as a hobby because I really enjoy it, so the money isn’t that important but I am an exception. For most people is suppose that this is a real issue. There isn’t time for much except the “battery farm” approach in 4 weeks. The CELTA is just enough for people to start to learn the craft, after that they have to be self-motivated enough to make use of all the remarkably good resources available, for free, online and from generous colleagues and “in-service training” if there is any provided. Many thanks for offering some thoughts on this. Declan – I am unaware of any other Uni currently running a Minor Degree in TESOL that involves at least 6 hours of live, observed teaching practice, but that’s not to say such courses don’t exist. Alex – perhaps the points below may go some way towards assuaging your doubts about the value of the course. Firstly, the course is a Minor Degree, meaning it constitutes only a third of a complete BA (Hons) Degree. Students choose to mix “Minor” awards with “Major” ones. The TESOL students almost all combine TESOL with subjects such as English, Education or a foreign language. We have found such combinations to work really well with students being able to use many of the skills / knowledge areas of one module to complement another. In addition, those wishing to enter mainstream teaching through the PGCE route have found that having a TESOL specialism is a valuable bonus in our ever more globalised world. Secondly, the first year of the award attempts to develop the students’ language awareness – an area that many (anecdotally) CELTA graduates highlight as being a concern upon completion of the course. The luxury of having the time to spend on language awareness may well be beneficial (both for confidence and for classroom decision making) for new teachers who wish to experiment with / adopt more progressive approaches such as dogme or TBLT – where the safety of swotting up on a grammar chunk before the class is unavailable. Finally, while the second year looks at theoretical and practical aspects of language teaching (in combination with jointly planned peer teaching and reflection), the final year allows students six months to undertake live teaching practice. During this time we try to get the student teachers to work through how their beliefs about effective language learning and teaching chime (or otherwise) with their developing knowledge and experience. The aim, of course, is to hopefully facilitate deeper learning through enhancing the quality of their reflection. It’s not at all perfect but I fear that going into any more detail here may risk sending to sleep some readers of this fabulously brill blog (but do feel free to mail me, if you wish). However, it does offer us the chance to consider initial TESOL teacher education from a model that differs to a four-week course, even if most of the aims are the same. Thanks Scott, for continuing such an important site. I do love this talk about language awareness. The touchstone for far too many British teachers, CELTA trained quite often, is to go, “This is how I would say this,” as a kind of definitive answer to any questions about accuracy. How about having some awareness of International English here? That’s a good point, Elizabeth. I started to realize this a while back and now hopefully I am much more conscious of not just prescribing my own (British?) English as the rule. I am just one user, after all. Far too often, us ‘natives’ act like we personally own the language. Nonsense, really, – a language belongs to whoever wants to use it – but I think this just maybe one symptom of the linguistic prejudices we all have against people with different accents (often we feel they are crude) and ways of communicating (in one’s own country and tongue as much as anything!) that is really hard to correct for. Take for instance, my bigoted cringing when I hear a strong Liverpool accent. or when I hear a singer like Kate Nash sing-talking in a youthful-sounding cockney accent. In classes, the first thing we should be doing is finding out who the learner actually needs/wants to communicate with and go from there. You speak like you speak, it’s as valid as any other way of speaking and you don’t need to apologise for it. I always tell my learner(s) that this is my way but then try to explore other ways that the thought maybe expressed. I make sure that the learner(s) is/are aware that I know they are learning to communicate in English most frequently with non-native speakers and have to learn to function in that environment. Often the learner can describe what they hear from their experience – very real for them. A good school will expose learners to teachers from a variety of accents and backgrounds and teachers will use a variety of materials for listenings. I think it’s also important to at least make learners aware that non-standard grammar is very much the norm in everyday speech (spoken grammar if you like). Here in East Anglia the double negative is not nuthin’ unusual. Learners find it amusing, stimulating and hopefully memorable when “teacher” puts on various accents and speaking styles. Variation is to be enjoyed and celebrated. With so many people coming off the course and then realizing how totally unprepared they are for teaching, when are we going to demand it be extended so that new teachers are better prepared and students get better teachers? To whom are you going to make this demand Duncan? I guess we could start with the training centres and then the body that awards the title, or vice versa right? Why should either of these organisations be interested in extending the CELTA? They would probably just point to DELTA which is another can of worms as far as I can see. I have opinions on the TEFL industry regarding quality of teaching and value for money but I think they are off topic for this discussion and I don’t want to get into trouble with Scott! fair point, I just find it so frustrating employing newly qualified teachers who feel so out of their depth, but enough said.